Jennifer was warm, friendly, and knowledgeable and took the time to carefully listen to my concerns. I’d highly recommendher. Jennifer was warm, friendly, and knowledgeable and took the time to carefully listen to my concerns. I’d highly recommend her. The receptionist was a bit rude at first, but I was taken back right away. The medical assistant didn't seem tobe too thrilled to be at work (I work as an MA - you always have to put on a smile and be friendly). I was really disappointed with the NP. She has great reviews, but was quite cold and rushed my appointment. The receptionist was a bit rude at first, but I was taken back right away. The medical assistant didn't seem to be too thrilled to be at work (I work asan MA - you always have to put on a smile and be friendly). I was really disappointed with the NP. She has great reviews, but was quite cold and rushed my appointment. Practicing at Comprehensive Primary Care, LLC, Ms. Jennifer Hunter serves the community of Washington, DC. Ms. Hunter is a caring nurse practitioner, who completed her master’s degree in nursing at George Washington University. She attended James Madison University, where she completed her undergraduate education. Ms. Hunter enjoys sharing her love for a healthy living with her patients to inspire them to reach their health goals. She believes in providing excellent patient care and strives towards quickly bringing patients back to their routine way of life. 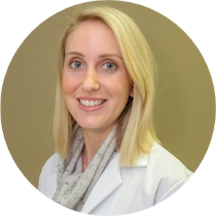 Ms. Hunter is enthusiastic and detail-oriented in conducting patient needs assessments, as well as in providing accurate results and recommendations for the development of appropriate patient treatment. She enjoys getting to know her patients and looks forward to developing lifelong relationships with them. Really patient and made me feel comfortable and understood. She is great ! Second time visiting her and she is very personable, remembered my concerns last appointment, and made me feel comfortable. She was great! No wait time and she was friendly and helpful. Excellent health care provider. Super thorough and took her time to find medical solutions to my problem. Comp. Primary Care switched my appointment to a different physician without telling me. When I requested the original physician I made the appointment with, I had to wait 45 minutes to see her. I’ve been seeing Jennifer for maybe a year now. Appreciate how she listens carefully and will answer any question I have, even after the appointment is over. I trust her and am happy to have her as my main doc. Recently found out this clinic was on my block and I’m happy I did. Jennifer Hunter is very knowledgeable and down to earth. Great MP and great location. Dr. Hunter saw me quickly, was very kind, and answered all of my questions. Excellent practitioner, great advice, very prompt. She’s great, really personable, direct and honest. Would definitely recommend! She has a nice bedside manner and was very attentive to my concerns. Jennifer herself was wonderful, extremely nice/personable and very professional. Other staff were also great - I interacted with a total of four other people and all were very nice. Went for my annual and was in and out in less than30min, which included an exam and having blood taken - no long waits whatsoever. First "five-star" experience I've ever had at a doctors office, will definitely be going back. Jennifer was very friendly. She was informative and made me feel at ease when asking questions during my annual physical. Took me seriously and helped address all of my concerns. Took the time to talk to me. Jennifer was extremely professional and had a great bedside manner. I highly recommend her. She is awesome! Listen to everything and make sure I was in and out quickly but never rushed me. Jennifer was excellent! She took the time to listen to my concerns and provided thoughtful suggestions. Both Jennifer and supporting staff were fantastic! I felt very welcome and comfortable! Very friendly and easy to talk to, I enjoy going to Nurse Practitioners for this reason. Love her!!!! Dr. Jennifer explained everything to me. She listened to all of my concerns. I highly recommend her. I thought she was great! It was a very quick visit and while I think she could have taken a bit more time to ask about any concerns I had, she was very helpful and understanding. Loved it and will return! Jennifer Hunter was friendly the second she stepped through the door. She was attentive and really listened to my needs. Everyone who worked in the office was professional and kind. I can't say enough nice things about my visit. Thanks for making me feel welcomed and taken car of. Everything was great - Jennifer was awesome and made me feel comfortable - but the building facilities aren’t the best. Nice and quick but also felt like she took the time and asked me questions. She was great! Very attentive and helpful. Would absolutely go back to her. This is a great practice. Everyone is very friendly and it's easy to tell they care about their patients. Could not recommend more! Jenn was so helpful and nice. She made me feel comfortable even thought it could have been an awkward situation given the issue I was having. I felt like she listened to my concerns and was very empathetic. Would definitely recommend. Jennifer was a great diagnostician and asked me a lot of questions about my history. She was patient with me and explained my treatment options in a very clear way. It was a great visit, and she'll become my primary care doctor in DC. Dr Hunter was great! I will for sure be back to see her again! She was a great listener and was so helpful. She clearly laid out a plan of action for my injury - I will definitely see her again. Awesome visit! Making this office my primary care provider. Jennifer and team were extremely friendly and made me feel at ease. Very timely and professional! I went in for a physical and she was great! Asked all the right questions, and was thorough and kind in listening to my concerns - would definitely recommend her. I recently started seeing Jennifer and I'm so happy I did. She has been so helpful and personable, while at the same time very professional and knowledgeable. I was pretty apprehensive about starting new medication, and Jennifer walked me throughall of my concerns, but never pressured me into anything. Very thankful that I found Jennifer and would recommend her to any family member or friend. She was very helpful in talking about some of the concerns I had, as well as accommodating me after some scheduling mishaps. She was personable and helped me understand some of the issues I was having. Amazing experience. She made me feel very comfortable. Jennifer was incredibly nice and very helpful!! Very friendly and have helpful advice & recommendations. She assured me that I could follow-up and reach out to her any time with questions or concerns, which was great. She was thorough and professional while also being personable which put me at ease. Definitely recommend. I thought the office staff were lovely and professional. The provider was warm and thourough. I did have to wait quite a bit for the provider’s boss to double-check her work which was annoying. I’m not sure why they had todo that with the patient in the room. But, I’ll be going back. They have evening and weekend hours which is GREAT for the DC folks, and I really like the provider I saw.